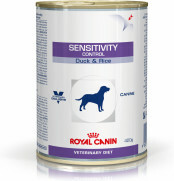 Sensitivity Control For dogs with Adverse Food Reactions (AFR), food allergy, food intolerance. 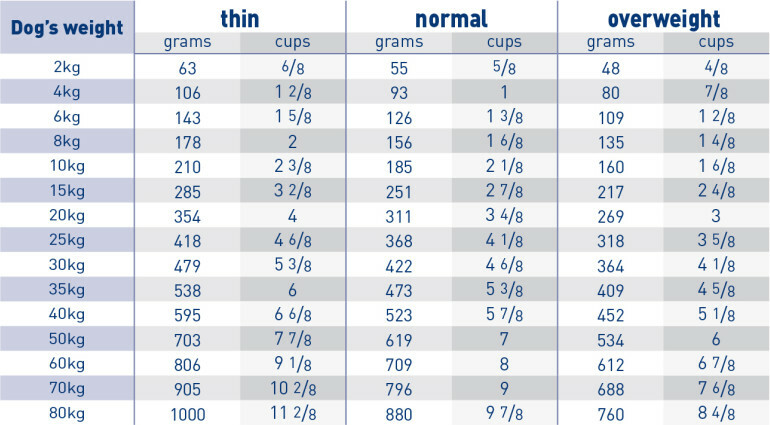 Duck and tapioca are the only sources of protein and carboyhydrate in this diet. 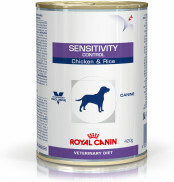 Both are rarely involved in food allergy, reducing the risk of GI or dermatological reactions. Contains a combination of highly digestible proteins, prebiotics, beet pulp and fish oil to ensure maximum digestive security. This food is gluten and lactose-free. Tapioca, dehydrated duck meat, hydrolysed poultry proteins, vegetable fibres, animal fats, beet pulp, fish oil, soya oil, psyllium husks and seeds, minerals, Fructo-Oligo-Saccharides (FOS), marigold extract (source of lutein). Crude ash: 7.2%. Crude fibre: 4.4%. Crude oil fats: 9%. Moisture: 9.5%. Protein: 21%. Vitamin A: 25000IU, Vitamin D3: 800IU, E1 (Iron): 41mg, E2 (Iodine): 2.8mg, E4 (Copper): 10mg, E5 (Manganese): 54mg, E6 (Zinc): 203mg, E8 (Selenium): 0.1mg. Preservatives - Antioxidants.